Cambridge isn't really known as a late night city. Around Sidney Street/Market Street is the main area of the city for bars and clubs but St Andrew's Street is busy too. There's also a wide selection of restaurants, in popular areas like Bridge Street and Regent Street in the city centre or travel up to Chesterton for some of the city's best. Finally, why not take in a show at the Arts Theatre or see a concert at the Corn Exchange. Cambridge has several large venues which draw visitors from the region. 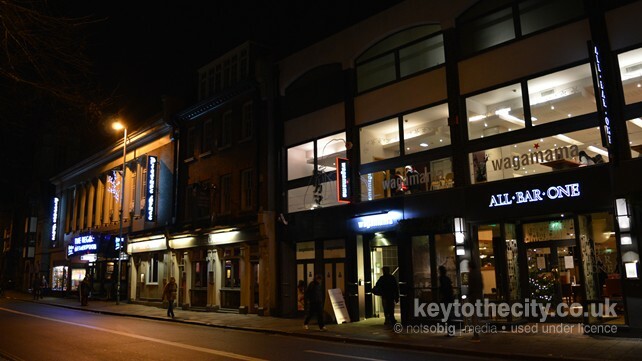 The Arts Theatre presents and produces a wide range of live performance, the Corn Exchange is a popular stop on the touring circuit whilst the Junction is home to the best in stand up comedy. Cambridge has a wide selection of restaurants, with many national chains moving into the city. There are though plenty of great independent restaurants too, especially in the Chesterton and East Road areas. Popular dining areas are Bridge Street by the River Cam with its outdoor seating and Regent Street/St Andrew's Street. The city centre is full of well known restaurants, bars and pubs. Check out Bridge Street with its outdoor seating or Regent Street to the south of the centre. There are quite a few good restaurants in Inner City Cambridge. Along Chesterton Road in the north or over in the east, Mill Road is the popular place to head to for a bite to eat. Saturday night is Cambridge's main night out though the large student population keeps the partying going through the week too. The busiest bars and clubs can be found in the Sydney Street area, especially around Market Street, with many in St Andrew's Street too. This is the main area of Cambridge's Nightlife, including Sydney Street, Market Street, Market Passage and Bene't Street. 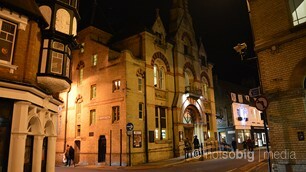 This is the lower part of Cambridge's Nightlife with many bars located on St Andrew's Street. This is the top part of Cambridge's Nightlife and includes the Quayside which is popular for outdoor drinking. This section lists the popular casinos in Cambridge and also features any other late night entertainment available in the city.